Just as Ozzy Osbourne has let the momentum of his final tour with Black Sabbath carry him into a run of new solo dates, his ex-bandmate Tony Iommi isn't slowing down anytime soon. According to a chat he participated in following a screening of The End of the End, the documentary that captures Sabbath's final gig in their hometown of Birmingham, the legendary guitarist is gearing up to record a new solo album. "I'm still writing stuff," Iommi said in the interview (watch below). "I've put ideas down on tapes. When all this nice, sunny weather goes and it gets grim, I shall start going in the studio and putting it down." The details about what the prospective album would sound like ultimately aren't fully fleshed out but, in the interview, Iommi made it sound like he was putting the wheels in motion, including utilizing the assistance of Mike Exeter, who worked on Black Sabbath's final album, 13. "My engineer, who I had for everything with me at home," he said, "he's just done Judas Priest's album. Now he's finished that, and we'll hopefully start again and put some ideas down. I don't know what it's gonna be yet, whether it'll be an instrumental album. I've been approached by a lot of people to do something with them." The Black Sabbath legend released his first&nbsp;solo album, Iommi, in 2000, and it featured guest vocals from Dave Grohl, Serj Tankian, Ozzy Osbourne and more. 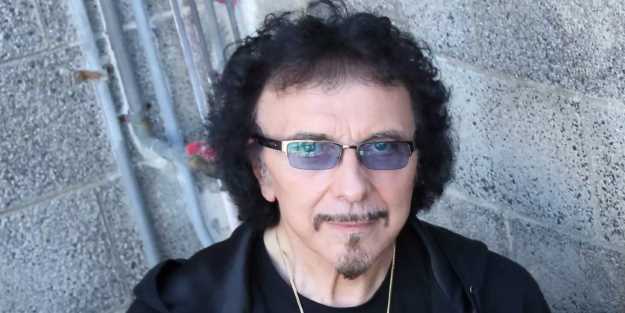 In addition to hitting the studio to record new material, Iommi is apparently working on a remix of Forbidden, the Black Sabbath album from 1995 that was produced by Body Count's Ernie C and featured vocalist Tony Martin. The legendary musician is also set to make a pair of public appearances this month, but without his axe in hand. Iommi is set to talk about his career at length with Phil Alexander, former editor of Kerrang!, in Scotland on October 12th at Paisley's Town Hall and on October 13th at Edinburgh's Assembly Rooms.